Discussion in 'News & Rumours' started by Benenen, Apr 10, 2018. Saw this announced on their Facebook page this morning, from the description on the website it sounds like a Madhouse. And judging from the current construction walls up at the park this will be going on the path between Lego City and Atlantis. Should be a solid investment if they theme it nicely, hopefully this gets a 360 degree facade unlike the hideous Ninjago shed. Yeah, it is a madhouse. The recent planning application shown a large chamber just like that in Hex and The Haunting. It sounds really cool. I think this actually sounds like a great addition to the park, would be very interested to check this out once it opens. Weird. So they're using the same building facade as the drop tower attraction they weren't allowed to build, however now they can but they're getting a Madhouse? As for the ride system change I think they've had a lot of issues with the drop towers in other locations and they probably changed their mind about buying more of them? Isn't Nemesis Sub-Terra at Alton Towers the same system as the Legoland drop towers? In which case, yes. They have had many problems with N:ST at Alton, rumoured to be concerning the ride's restraints. This is in the same location as the drop towers. The reason the drop towers were rejected was because the council thought a new ride would increase attendance dramatically, resulting in more traffic in the local area. As a result, Legoland built the Disko, which didn't require planning permission and can be removed at any point if the council ask, to show that adding new rides don't affect traffic any more than if they didn't. Merlin went cold on the drop tower idea after issues with Sub Terra and other things (despite them eventually getting planning permission I believe? ), which is why Ninjago happened. They've now finally decided what to do with the site. Mysterious Sue, peep and Matt N like this. 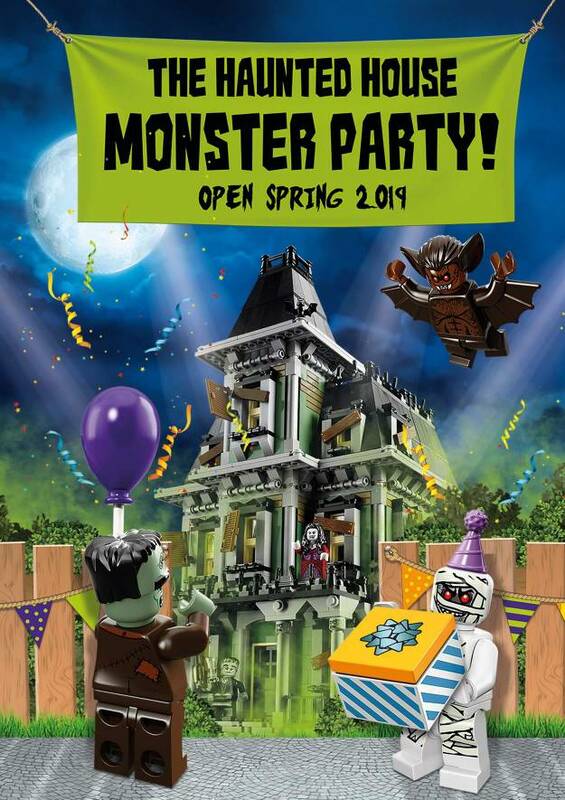 Am I the only one who's surprised Legoland is getting a new major dark ride just 2 years after the last? And they've got The Lego Movie Land coming up soon as well. I thought Legoland's were on a 5 year CAPEX cycle! I’m glad they’ve gotten over adding those rubbish little drop towers everywhere. Such a pointless addition. peep and CrashCoaster like this. I've walked past this almost every day on the way to my ride and it's been fascinating seeing the innards of a Vekoma Madhouse. First it was just two large arms to support the drum then last week a lattice like structure popped up on each arm. Unfortunately the walls are going up now but it was fun while it lasted.